The Merry Makers are a diverse group, ranging in age from 6 to 66, most of whom have an intellectual or physical disability, but all of whom refuse to be defeated by the enormous challenges life has dealt them. Anyone who’s ever seen them perform can attest to the fact that they have an amazing ability to lift spirits and put a smile on their audience’s faces. What the Merry Makers do best is perform miracles. Countless times parents bring their son or daughter along to class having previously been given little hope for their personal development. And, whilst it doesn’t happen overnight, the regular structure of the rehearsal program provides a wonderful opportunity for the developing social skills of these special individuals. In a suburban Sydney hall every Saturday both the parent and the child can blossom in an atmosphere of love, acceptance and support. To the parents, siblings and friends, the gradual and consistent progress of the ‘Merries’ is often miraculous! A registered charity endorsed by the Australian Taxation Office as a deductible gift recipient, Merry Makers Australia is run entirely by dedicated volunteers. The inspiring star-studded story of dancers who defy all the odds.. This fabulous book tells the uplifting story of the Merry Makers. Bestselling author Sue Williams teases out the Merry Makers’ powerful individual stories, providing insight into the love, inspiration and acceptance that the group provides its members and their families. 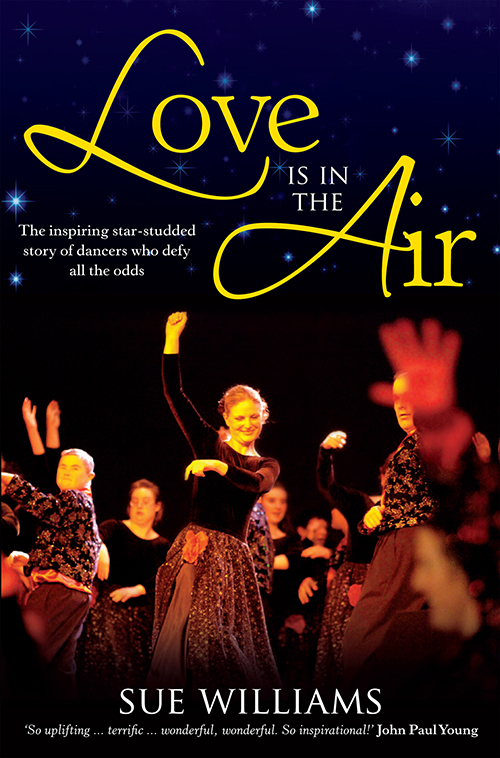 Love Is In the Air is sure to put a smile on your face and will leave you marveling at the strength of the human spirit. Award winning rose introduced to Australia by Treloar Roses and named to honour Merry Makers Australia. Bushy upright growth with recurrent semi-double blooms will bring a brilliant burst of colour to any garden. Quite resistant to mildew, this gorgeous floribunda grows only 50cm x 50cm. Looks brilliant planted en masse.